Welcome in the valley of the living dead! Way more frenetic, the psychobilly festival the Stomping rises up from hell with a new edition of musical duels. For its 8th year in a row, TAF shoot you out in the meteor galaxy on Friday 9 and Saturday 10 November. 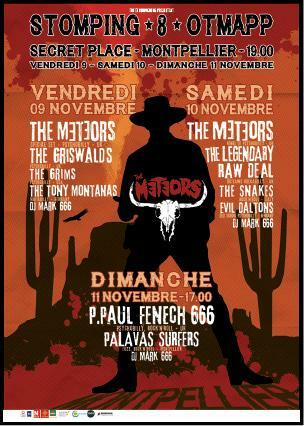 We stay in the eye of the storm on Sunday with P. Paul Fenech 666, Meteors major figure, who will perform with is solo project.